"The White Collar star will get gritty in new action/drama "
Matt Bomer has been keeping busy lately. He just came off of an Emmy-nominated role in the HBO TV movie The Normal Heart and has the upcoming final season of USA's White Collar in November. 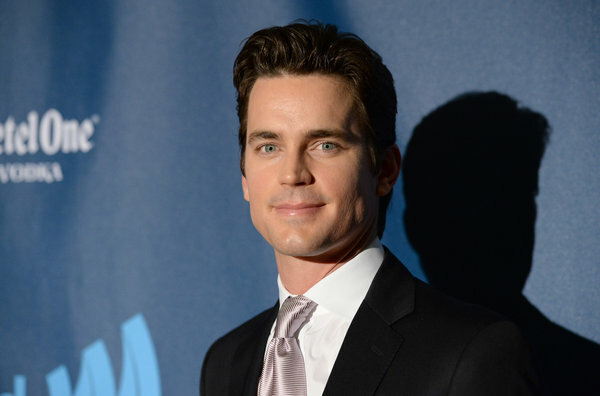 With White Collar wrapping up, Bomer is now open to take on more roles. According to EW, after filming the sequel Magic Mike XXL, he will be joining Russell Crowe and Ryan Gosling in their next movie Nice Guys. The action drama, which is set in 1970s Los Angeles, involves Crowe playing a gangster, who hires a detective (Gosling) to find a missing girl and uncovers a dangerous conspiracy, where Bomer’s character comes in. In addition to these two upcoming projects, Bomer will also star in the upcoming Montgomery Clift biopic Monty Clift. Shane Black, who wrote and directed Iron Man 3, is repeating his duties for this film for Warner Brothers. The Leftovers’ Margaret Qualley has also joined the cast as the daughter of the corrupt chief justice involved in the scandal. The movie is set for theatrical release on June 16, 2016.